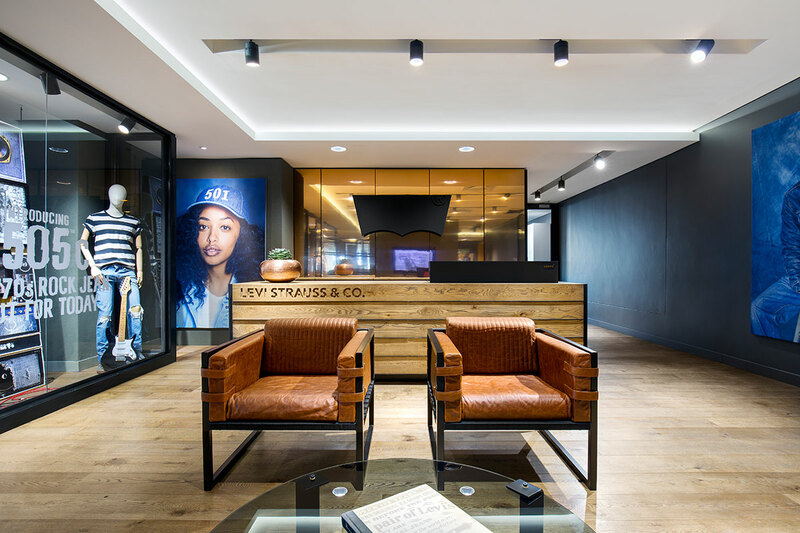 Dark Horse is humbled to have been part of the new Levis head office in Cape Town. 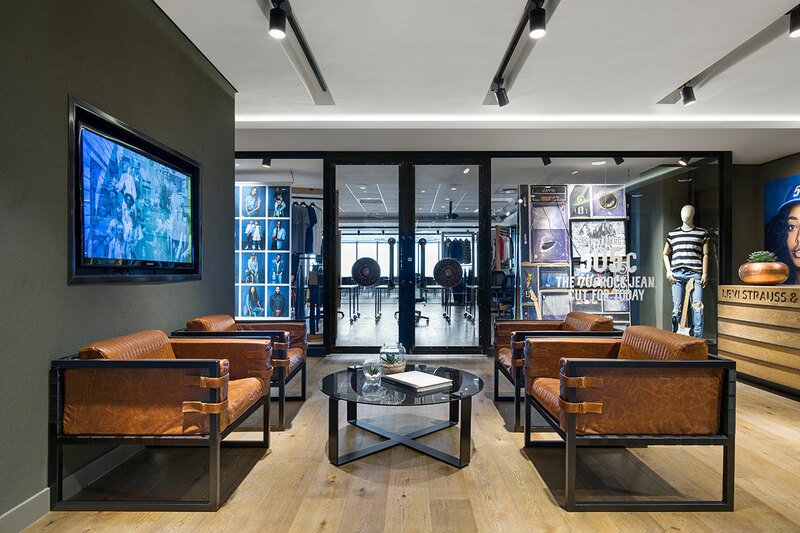 The office interior design is rich with timber, copper and leather tones that are true to the brands core attitude. 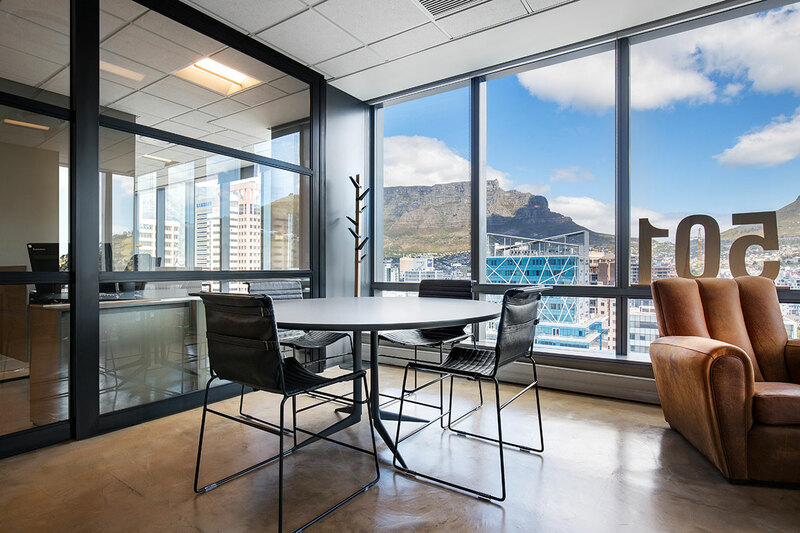 Sitting on the 17th floor of the new Portside building in the cities Foreshore area, this office boasts stunning views. The dynamic interiors, bridge the gap between work and comfort. We were fortunate to add a little touch of Dark Horse to the Levi’s office interiors. Working with the talented team at Macgregor Forsyth Interior Design. Dark Horse supplied the must have Boss Armchair in tan leather and black frames to to entrance and our Clip Coffee table completes the space. Looking for a balance between design and comfort for your meeting space – Have a look at our leather office chairs – The Metropolitan. 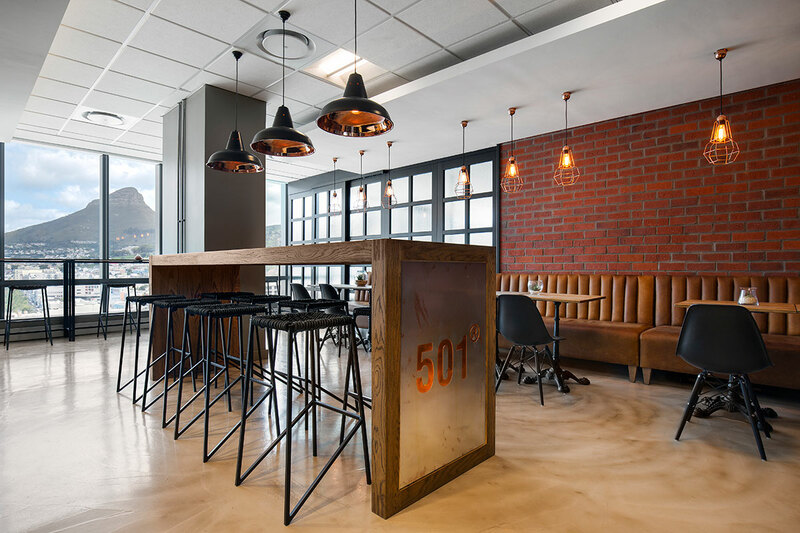 One of the real gems in this office space is the canteen area – a breakaway space, perfect for causal meetings, lunch or coffee. It boasts a phenomenal view over Table Mountain and Lions head. You can’t ask for more. This amazing cafe style kitchen with timber and leather tones is offset with our hand woven rope stools. This is no doubt one of the coolest offices spaces in Cape Town.